At AAA Colorado, our mission is to create a culture that nurtures members for life by exceeding their expectations through valuable products and legendary service. We know that this is best achieved by inspiring employees to be innovative, compassionate and confident as they deliver the peace of mind that our members have come to rely upon. You not only make a difference; you ARE the difference. Our club originated in 1922 and today serves more than 650,000 members through retail branches and fleet facilities in more than 11 locations across the state along with a centralized 24/7 call center based at our headquarters in Denver. We provide roadside assistance and battery service, as well as many specialized services such as Insurance, Road-trip planning, Domestic & International Travel, Discount & Reward Programs and Auto Buying to name a few. AAA is a key advocate for issues impacting the traveling public, such as highway safety, road maintenance and related legislation. As a AAA Colorado employee, you will make valuable contributions to our workplace, the lives of our members and the community around you. 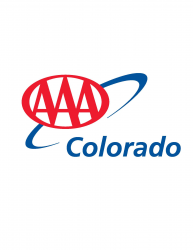 AAA Colorado offers medical, dental, life insurance, paid time off, and 401(k) with a company match.